Here you are, sitting in some overly cold room in front of three complete strangers. Your heart is racing. You feel a lone bead of sweat slowly leaking past your temple. Do you take a sip of water or would that give away just how much your hands are shaking? Is it rude if you don’t take the water? How is that you can recall Pythagoras’ theorem off the top of your head but not know if it’d be rude not to take a sip of water? You’re a grown adult for goodness sake. Bugger – what did they just ask? Take the water! Arms shaking. Lone bead of sweat joined by five more lone beads of sweat. Ah, interviews. Such a pleasant experience (said no one ever). Except me. I actually quite like interviews. And I think I’m quite good at them. I should be, I spent 500 hours of my life last year sitting on interview panels. I saw it all too – the good, the bad and the downright horrendous. 1. What’s the worst thing that could happen? Think about it, right, what is the worst thing that could happen from a job interview? You don’t get the job. That’s it. The worst thing that could happen is that you don’t get the job. And one of the key reasons you wouldn’t get the job is because you come across so flustered and awkward that you’d forget how charming and articulate you are. In which case, you’d only have yourself to blame. So, cool the panic, remember that it won’t be the end of the world if you don’t get it and channel all that nervous energy into reminding yourself that you’re an amazing, confident person and you will get this job. Seriously. It works – try it. Like, actually want it. Every job is someone’s dream job. And if this job is your dream job, then your natural enthusiasm and excitement will radiate and permeate the room. You’ll be able to talk about why you’re the best person for the job and how it fits into your long-term plan. And if it’s not your dream job – leave it to the person whose dream job it is. This one sounds easy but so many people miss it. Employers like to know that the sweaty mess of a candidate in front of them actually wants to work in the company and that they haven’t just applied for every job they seem qualified to do. Read everything. And I mean everything. Their website. Their annual report. News articles about them. Their balance sheet. Investor notes. Anything and everything that will give you the most robust idea of who they are, where they’re going and how you’re going to fit into that journey. Too many people fall over in interviews by trying to be noble and humble. An interview is no time to be noble nor humble. Drop the “we” and start using “I’. As the recruiter, I’m not interviewing your team – I’m interviewing you. What was your role and what value did you add? What are your strengths? Have a think about what you’re most proud of achieving and turn them into STAR stories. If you truly know the situation thoroughly, you’ll be able to respond to most general interview questions using well-considered examples. I once ended an interview three questions in because I realised that the candidate’s CV had been somewhat inflated to a level that it wasn’t. What it left me with was a waste of my time, the panel’s time and the candidate’s time. You are your experience. Be proud of what you’ve achieved and if you don’t have the necessary skills and experience, then work on it and reapply when you have it. A recruiter gets paid good money to pick out the truth. 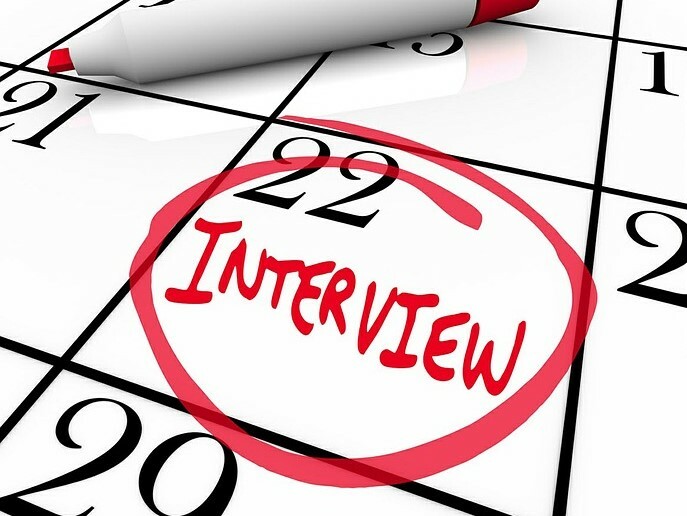 So there you have it – five steps to totally owning that interview. Beads of sweat be gone. PS. You’re under no obligation to take the water. This article was written by Harvest Recruitment Talent Acquisition and Human Resources Lead, Aaron Hussey.